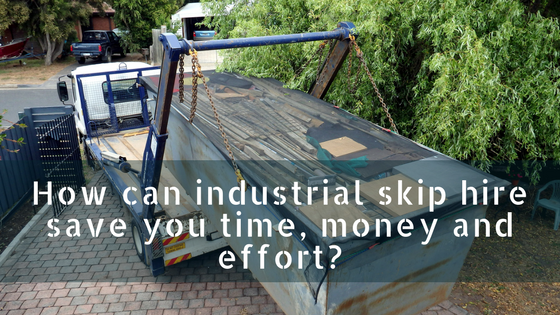 How Can Industrial Skip Hire Save You Time, Money and Effort? Whether it be skip hire Chorley or Bolton, you’re sure to find a suitable solution for disposing of your industrial waste, here at Preston Skip Hire! We provide skip hire Preston to suit the requirements of all industrial customers, ensuring that you dispose of your waste efficiently. The skips we provide for skip hire Preston are suitable for all volumes of waste, so no matter how big or small your project is, you’re sure to find exactly what you’re looking for. Here at Preston Skip Hire, we don’t only make sure that waste disposal is safe, we aim to provide you with a service that’s convenient and cost-efficient and here’s how it works! For any industrial business, time is a key factor to take into consideration. Disposing of waste as soon as it’s generated allows you to eliminate any hazards, ensuring that there are no dangerous materials left on your premises. When it comes to skip hire Chorley, you can count on our team of experts to deliver your skip at a time that’s convenient for you. Our fleets are all fitted with the latest technology and equipment, allowing you to trace the location of your skip and to identify whether it will be delivered on-time. Our skip hire Chorley services are ideal if you’re looking for an alternative to making trips back and forth to the landfill site with your industrial waste. By hiring an industrial skip, you have the opportunity to dispose of your waste efficiently, reducing the amount of time spent transporting your industrial waste. Choose skip hire Bolton that suits your budget requirements! We supply the industrial skips in an assortment of sizes, starting from 8-cubic yards, providing you with a cost-efficient solution for disposing of your industrial waste. With the help of Preston Skip Hire, you can dodge any penalties and fines by disposing of your waste sustainably. The team of experts at Preston Skips can provide you with all you need to know when it comes to meeting stringent skip hire rules, ensuring that you receive the best value for money- can you afford not to find out how Bolton skip hire can save you money? If you’re looking for hassle-free skip hire Wigan, you needn’t look any further than Preston Skip Hire! We make sure that skip hire is arranged to suit your industrial needs, providing you with a practical solution for disposing of your industrial waste. Once your skip has been ordered, you’ll need to arrange for it to be delivered. After your skip is delivered, all that’s left to do is fill it with industrial waste. With any of the industrial skips that we supply for skip hire Wigan, you have the reassurance that no transportation is required- leave this to our experienced fleet drivers! Hiring a skip is ideal if you’re looking to keep any materials safe. We supply the industrial skips and enclosed compactor bins to suit the requirements of any business, preventing you from having to lift or transport any heavy items. Find out more about our industrial skip hire services today; call us on 01772 827603!